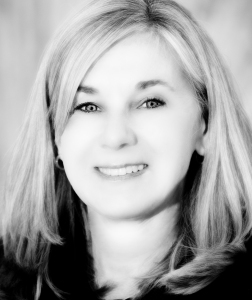 Amy brings an extensive business background to Idaho real estate. She has an MBA and BS in Marketing and has worked for major banks and Fortune 500 companies. Amy understands what motivates people to buy and how best to present your home in the marketplace. For buyers, Amy will negotiate the best possible price. For sellers, Amy will help sell for the highest possible price. In addition to many years of real estate experience, Amy has obtained three real estate designations. Call Amy when you are ready to make a move. My goal is to provide clients with the highest quality of service possible. I strive to make each client feel that they are the most important client in the world. I want to make sure that all of your questions and concerns are addressed properly so that your real estate transaction is as anxiety-free as possible. Amy is honest, straight forward and let me know both the pros and cons. She didn’t just tell me what I wanted to hear. I have had the honor of buying two homes and selling one. Whenever anyone asks me if I know of anyone who can help them I immediately think of Amy. I highly recommend Amy for any and all of your real estate needs. It’s the smartest choice you can make. Amy is a rock star! She has always been there for me through every step of the buying and selling process. Working with Amy to buy our house was a pleasure. She was always professional, but I could also tell she really cared about our family. ~ Kelli and Jeremy W.
Buyer Tools You Can Use! Seller Tools You Can Use!